People who drink hazardous amounts of alcohol are at risk of becoming physically dependent, psychologically overwhelmed and essentially paralyzed by alcohol use disorder. The World Health Organization has developed a method of assessment and screening that helps to identify alcohol use disorder in heavy drinkers. This test, known widely as AUDIT or the Alcohol Use Disorders Identification Test, is regularly used in treatment centers, hospital settings and by doctors to determine whether an individual is suffering from AUD. 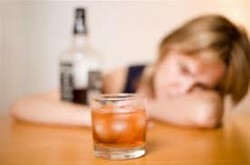 How can you tell if you are suffering from an alcohol use disorder? According to the AUDIT, a test of 10 questions related to alcohol consumption, if a score of 8 or more is achieved on the AUDIT test, you may be suffering from AUD. According to the University of New Mexico, the AUDIT helps to identify people with harmful patterns of alcohol consumption and may be used to help identify people who may be suffering from alcohol dependence. If you have a tough time controlling your alcohol intake and cannot stop drinking you may have a problem. Do I drink alcohol more than once a week? Do I drink more than 2-3 drinks at a time? Do I drink more than 6 drinks at a time? Do I regularly drink more than 6 drinks at a time? Have I had troubles with cutting back or not drinking over the past 12 months? Over the past 12 months, have I ever had a problem with stopping alcohol consumption once it has started? Have I ever missed a deadline or otherwise failed to uphold to my responsibility as a result of my drinking? Have there been times in the past year that I have needed to drink alcohol in the morning in order to get myself going? Has my drinking caused me guilt or shame in the past year? Have I been injured or have I hurt someone else in the past 12 months as a result of my drinking? Has someone expressed concern for my drinking over the past 12 months? Have I tried to quit in the past 12 months? If you answer yes to any of the above questions and you continue to use alcohol, there’s a good chance that you are suffering from an alcohol use disorder. While you may not be addicted yet, alcohol use disorder can and will lead to further complications and consequences if it is left untreated. Consider seeking help immediately to forego any further complications from this potential disease.